The J. Paul Getty Museum and Cabinet des Médailles of the Bibilotheque nationale de France (the department of coins, medals, and antiques of the National Library of France) are collaborating on the research and conservation treatment of the Berthouville Treasure, an extraordinary group of Roman silver objects from Paris. The collection of ancient luxury items will be at the Getty Villa for a three-year-long conservation project followed by an exhibition. 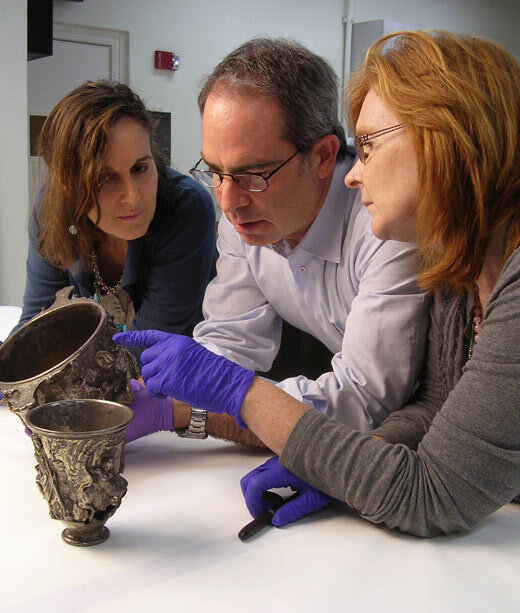 This project is an example of excellent collegial collaboration and a unique opportunity to study and treat this collection of ancient objects. This rich cache of approximately 95 ancient Gallo-Roman silver vessels was discovered by a farmer plowing his field near the village of Berthouville in the region of Normandy, approximately 150 kilometers west of Paris, in March 1830. Shortly after this valuable discovery was made, it was determined that the collection was from the treasury of an ancient shrine dedicated to Mercury Canetonensis, a major deity of Roman Gaul. 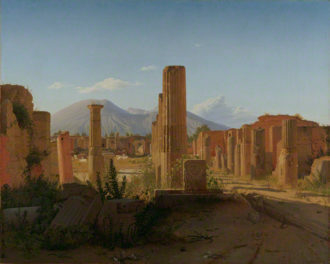 It seems to have been hastily buried during an invasion in the 3rd century A.D. 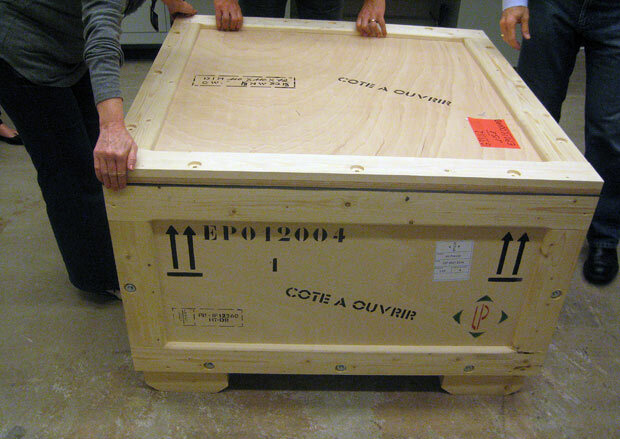 The collection arrived at the Getty Villa’s conservation studios in Los Angeles in mid-December 2010, in eight large wooden crates accompanied by two of the Cabinet’s curators, Mathilde Avisseau-Broustet and Cecile Colonna. 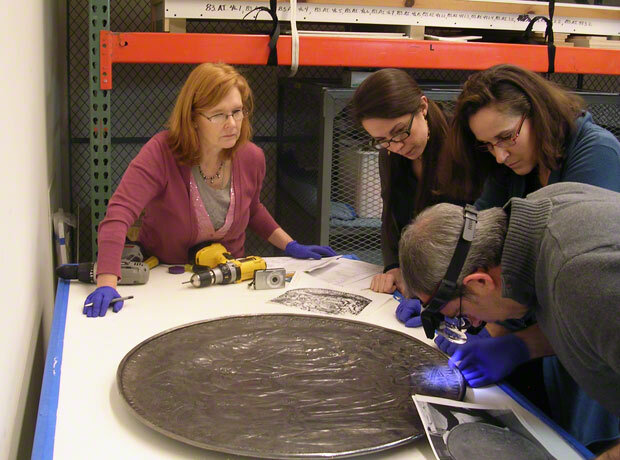 Early the next morning—together with Getty Villa curators, museum registrars, preparators, and art conservators—they began the lengthy phase of carefully unpacking and sorting each object in preparation for detailed observation. 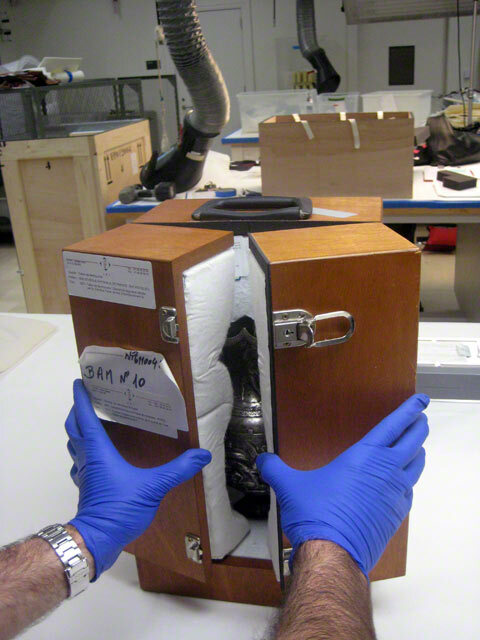 Each object was carefully examined to assure that the items had arrived intact and undamaged. While undergoing conservation treatment here at the Getty, each piece will be individually photographed, radiographed, cleaned, conserved, and closely studied by Museum conservators and curators, as well as Getty Conservation Institute scientists in preparation for an exhibition in 2014 at the Getty Villa. We are very excited to continue this collaborative project, and will update you here as our work progresses. 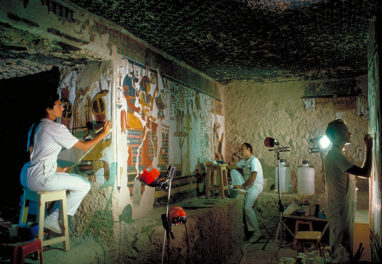 Eduardo P. Sánchez I’m associate conservator in the Department of Antiquities Conservation at the J. Paul Getty Museum. During my 25 years with the Museum, I’ve worked on numerous exhibitions and in-depth collaborative projects of both domestic and international scale, such as the conservation of an important imperial Roman portrait sculpture of the Emperor Marcus Aurelius owned by the Pergamon Museum in Berlin, Germany, and the first major exhibition in the U.S. devoted to ancient mosaic masterpieces from Tunisia, Stories in Stone: Conserving Mosaics of Roman Africa. Currently I am working on a collaborative conservation project with the Cabinet des Médailles in the Bibliothèque nationale de France to complete the conservation of Roman silver luxury items that are part of the Berthouville Treasure. I am overseeing the documentation, assessment, and conservation of these extraordinary pieces, which will be displayed at the Getty Villa before the collection is returns to France. Susan Lansing Maish I’m assistant conservator in the Department of Antiquities Conservation at the J. Paul Getty Museum, where I have worked for 25 years. I am very excited to be working on such a rare and beautiful collection of silver artifacts, the Berthouville Treasure, and am very interested in the stories each object has to tell us. It is little like being a detective, unraveling the manufacturing and restoration histories of these objects. 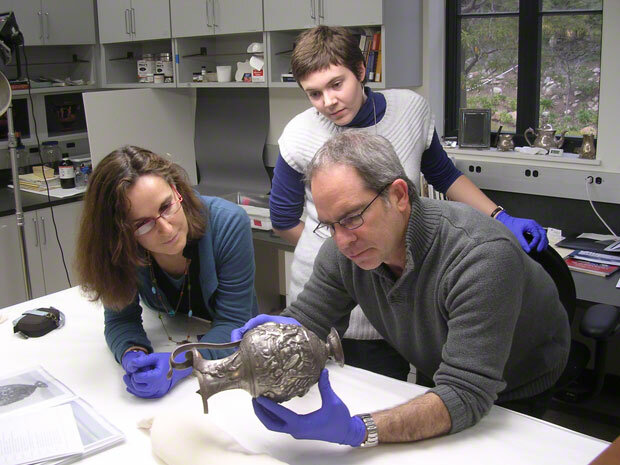 This is exciting to see the collaboration on the conservation of the Berthouville Treasure. It will be a treat to see the progress here.